The Texas Christian University MBA for Energy Professionals program at the Neeley School of Business can be taken in a part-time format or in an accelerated format. The accelerated format requires students to have a strong business background and at least three years of professional experience. The part-time format is a 48 credit-hour program, and the accelerated format is a 36 credit-hour program. Students can complete the program in as little as 18 months or as many as 33 months. The amount of time the program takes depends on the format (part-time or accelerated) and the number of electives taken each semester. This program has a focus on the energy industry and will focus on current business issues and practices in the energy industry as well as strategies for managing the risks and opportunities unique to the field. Classes for this program are held twice a week in the evenings. Texas Christian MBA for Energy Professionals students who follow the part-time format complete 28.5 Professional MBA core credit hours (the same courses as the PMBA students), 13.5 credit hours of energy specific courses and six credit hours of business or energy electives. Students who follow the accelerated format complete only 15 credit hours of core courses, 13.5 credit hours of energy specific courses and 7.5 credit hours of business or energy elective courses. Students in the program also complete a required international trip. The Energy International Trip is a seven to ten day course held during the second year. For the international trip, students will travel to energy rich regions, gain first-hand knowledge of international energy issues and get access to senior executives at global energy organizations. The Texas Christian MBA for Energy Professionals program is designed for working professionals who are currently working in the energy industry, or those who are looking to change their career path toward the energy sector. Students completing the accelerated format for the program must have at least three years of professional working experience within the field of business. Students in the MBA for Energy Professionals program are typically already employed in the energy sector. After completing the program, many students move into more managerial and leadership roles in their current company or in their current field. 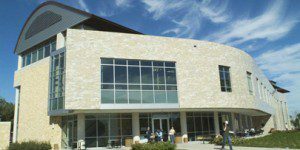 Students completing the MBA for Energy Professionals program have access to the Graduate Career Service Center (GCSC) at the Neeley School of Business. Students have the opportunity to work closely with career coaches to enhance their workplace marketability. The GCSC also hosts networking events, executive speakers and MBA conferences. TCU Neeley students also have access to a personal career coach. The total estimated cost for the Accelerated format for the Texas Christian MBA for Energy Professionals program is $69,580. The total estimated tuition for the part-time format is $88,240. Actual expenses will depend on the cost of tuition, the number of credit hours taken during the year and the number of semesters it takes for the student to complete the program. Books and materials are estimated at $2,500, depending on the program. Texas Christian University offers a limited number of Professional Development Grants (PDG) for part-time graduate students. Unlike student loans, grants do not need to be repaid after the completion of the program. To be eligible for PDG, a student’s income may not exceed $69,802 for independent, single students without dependents and $86,629 for married or single students with dependents. Neeley also accepts federal student loans, private loans and veteran education benefits. Prospective students needing more information on Financial Aid options for the MBA for Energy Professionals program can contact Debbie Mar, Manager Graduate Aid Programs Financial Aid at d.mar@tcu.edu or by phone at (817)-257-7872. To be considered for admission to the Texas Christian Accelerated MBA for Energy Professionals program, applicants must possess a Bachelor of Business Administration, have a competitive GMAT score, a solid academic record and have a minimum of three years of postgraduate professional work or military experience. Students in the part-time program do not need to have a bachelor’s in business, and there is no minimum work experience requirement. However, they still need a bachelor’s degree and must submit their GMAT scores. Applicants must complete the online application form and complete the application essays found with the application form. Prospective students must also pay a $100 application fee. After a review of the application, candidates will be selected for an interview. The interview is by invitation only and not all applicants will be asked to complete an interview. Prospective students with any questions or concerns about the application process can contact an admissions counselor at mbainfo@tcu.edu or call (817) 257-7531. The first General Admission deadline is March 1; applicants will receive a decision by April 1. The second General Admission deadline is April 15. Applicants will receive a decision by May 15. Following applications are accepted on a rolling basis.